As reported at The Politico, the Clinton campaign is in full “panic mode” with black voters, especially in Florida. In order for Clinton to win, she not only has to gain a high percentage of black votes, they also have to turn out in large numbers. Note to Hillary and the Democrat party, that ain’t happening. Not only is enthusiasm down among Democrat voters, there is no way, let me reiterate this, NO WAY that Hillary Clinton will get the black voter turn out that Barack Obama did in 2008 and 2012. For obvious reasons, Trump will never see those types of turn out, even if Michelle and Barack Obama beg blacks to vote for her. Blacks came out in droves to vote for the first black president. Last time I checked, Hillary was not black, even if Bill was. At some point, black voters need to put their eggs in another basket and maybe they will see results. Because they have not received anything from voting for the Democrat party. Bill Clinton, once nicknamed the “first black president,” embarks on a North Florida bus tour Friday in an attempt to draw African-American crowds. At the same time, Clinton herself will hosts events in Broward and St. Lucie counties, which have black populations higher than the statewide average. That follows the events of this past weekend, when black mothers who have lost children to gun violence hosted a Clinton organizing event in Jacksonville and a voter-registration drive in Opa-Locka, a majority black city near Miami. The group, Mothers of the Movement, includes Sybrina Fulton, mother of Trayvon Martin, whose 2012 shooting death near Orlando became a flashpoint for racial division and gun violence. Coming soon: President Barack Obama, who’s expected to campaign here at least twice before Election Day. First Lady Michelle Obama — more popular than her husband — will likely visit Florida as well, in addition to the ad she cut for Clinton that’s currently airing on Florida radio. SNL did a skit over the weekend with the ghost of Martin Luther King Jr. visiting a boy who needed to do a report on the Civil Rights leader. When the boy informed MLK, played by Kenan Thompson, he was not all that impressed with the state of affairs in America. When told that the US elected its first black president, Barack Obama, MLK respoded, you said Barack O-what now … sounds like a Kenyan Muslim. Hmm, I guess it would have sounded more like one if student, Pete Davidson, had said his full name, Barack Hussein Obama. Throughout the skit, MLK kept saying … “I guess we’re still climbing that mountain”. I guess it would have been asking too much on liberal SNL to say that it was really race hustler Al Sharpton leading the civil rights movement and instead of protesting over the deaths of those like 14 year old Emmett Till, whose only crime was talking to a married, 21 year old white woman in 1955 Money Mississippi, today’s civil right movement was all about protesting the death of a black a punk at the hands of a white police officer, who committed a strong arm robbery of a store and then assaulted a police officer trying to take his gun. Yea, I get the two confused myself. But it was ‘MLK,’ not the kid, who wound up learning a lot during the sketch — and he didn’t like most of what he learned. “MLK” gets hit with a slew of downer news — the boulevards that bear his name aren’t in the nicest neighborhoods, “Selma” got snubbed for Oscar consideration, and Macklemore, “like, the whitest dude ever,” is the face of American hip-hop. “We’re still climbing that mountain,” “MLK” says sadly. Wasn’t the election of Barack Obama supposed to make everything better in the United States, including race relation? 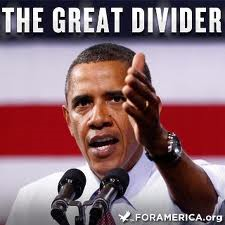 Wasn’t the election of the first black president supposed to bridge the divide between races? Well a recent Pew Research/USA Today poll says, not so much, especially among blacks. The poll shows that blacks have a 64% positive view of relations between the races, down 12 points from 76% in 2009. Hmm, I guess an Obama administration of perpetual dividing and race baiting would do that. whites are only modestly changed from five years ago. 2009, the share of blacks with a positive view of relations between the races has fallen 12 points (from 76% to 64%) while remaining largely unchanged among whites (80% in 2009). From the WAPO: Blacks give police lower marks than whites. The death of “Hope & Change” for Black America … Have Black finally turned on Barack Obama and figured out that they’ve been played? After six disastrous years of the Barack Obama Presidency, the only individuals that truly still back “the worst president” since WWII have been Blacks and liberals. Black Americans may finally be getting a clue and come to the understand that Obama cares little about their plight. Blacks voted for Obama 95% – 4% in 2008 and 93% – 6% in 2012; however, conditions for blacks under the Obama administration have become worse, not better. In 2008, black unemployment was at 10.1%. In July 2014, the BLS had black unemployment at 10.7%. This is more than double that of Whites. So what happened to that “Hope and Change” that Obama promised? 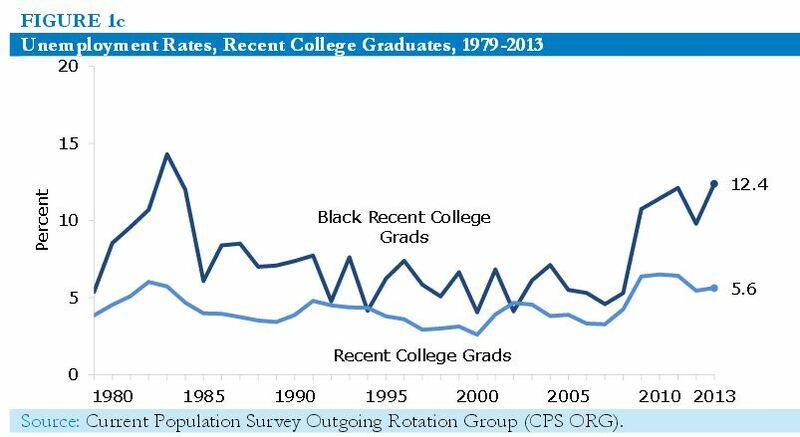 It is even worse for teenage blacks and college graduates. Then there are the “killing fields” of Chicago that Obama has simply ignored. In the wake of the illegal immigration humanitarian crisis on the US-Mexican border and the so called help that Barack Obama wants to do by throwing billions of dollars at, it would appear that Black America is finally pissed at this president for all of his double speak and failed promises. Has black America figured out that Obama and Democrats care more about Hispanics that they do blacks? What did they expect when they vote as one for one candidate and one party? Their vote is expected, not valued. Legal Insurrection refers to it as, Clash of the Titan special interest groups. Are Hispanics the new black? It is about time some one in the Black community ripped Obama a new one for his actions. As reported at the Western Journal, Bernadette Lancelin, a Houston resident, is furious that while her kids have gone without any help from anyone and have had nothing for years, illegals pouring into the country on a daily basis have their every need attended to. She does not mince words. The disgrace of the Obama years. All those promises, all those votes and the black plight has been made worse. WHO KNEW BARACK OBAMA IS MIXED-RACE? From Oscar Award winning actor and liberal Morgan Freeman’s lips to your ears … Barack Obama is not the first black American President. Hmm, wasn’t Obama swept into office on the notion that he was the first Black American president? Many misguided folks thought they were righting a wrong and is became a feel good story that would heel the wounds of a country that has had its history of racial issues. Of course how’s that “hopey changey” thing working out for you? But,not so fast. It would appear that it was all in vain as according to Morgan Freeman, Barack Obama is not black enough to be the ‘first black” elected President … he is instead the first mixed-race President. Gee, where was that narrative in 2008? As we always say, its not about the color of one’s skin, its about the content of one’s character. Remember that when voting and in every day life. Well Mr. Freeman, everyone really knows that Bill Clinton was the first black President anyhow. And as Weasel Zippers states, Obama may not be the first black President, but he is the first gay one.